A groin strain results from applying an excessive amount of stress on the muscles in the groin and thigh area. When these muscles are tensed excessively or suddenly, they can become over-stretched or torn. Groin strains are common in people who play sports that require a lot of running and jumping, and those sports that require participants to change direction suddenly and repeatedly. Soccer, football, and tennis are three sports where groin strains are very common. Running back and forth across the field or court can often cause a great deal of stress on the muscles in the groin area. Symptoms of a groin strain are pain and tenderness. This pain can usually be felt on the inside of the thigh and is sore to the touch. However, it can also be felt when bringing the knees together or raising the knee or leg because these movements require the use of the inner thigh and groin muscles. 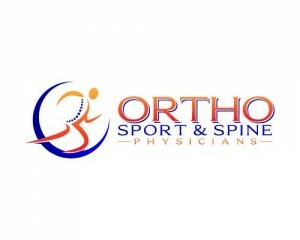 The doctors at Ortho Sport & Spine Physicians are able to diagnose a groin strain with a thorough physical exam. While groin strains typically heal on their own with time and rest, the double board certified interventional sport physicians at Ortho Sport & Spine Physicians can help to speed the healing process. We take every treatment approach on an individualized basis. Our physicians understand that you wish to get back to your active lifestyle quickly, but we also understand that proper healing requires time and dedication. There is no easy answer to how long it will take to heal because every injury requires a different amount of time to heal based on how serious the groin pull is. Ortho Sport & Spine Physicians is dedicated to giving you our best treatment for full healing so that you are back in the game as soon as possible.